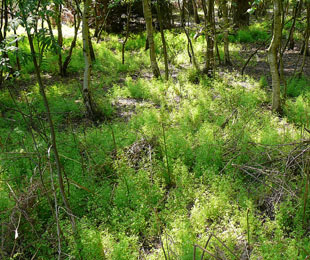 North, East Anglia, the deep South and the far Southwest. 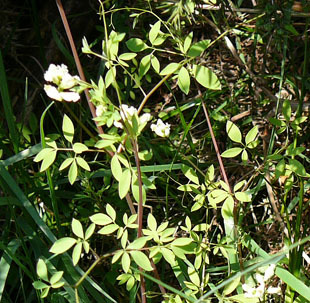 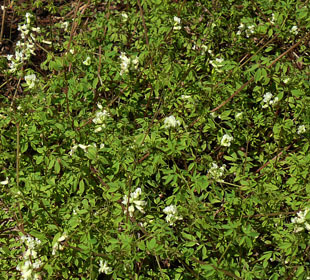 climbing, slender, annual herb, growing up to 75cm. 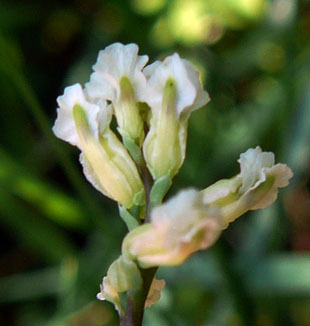 Flowers are small - up to 6mm, with 2 sepals an 4 cream petals. 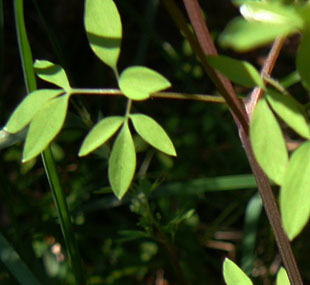 Leaves are delicate, rather fern-like, and slightly grey. 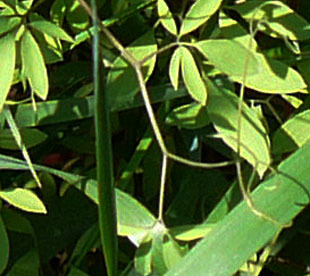 Leaf stems end in branched tendrils. 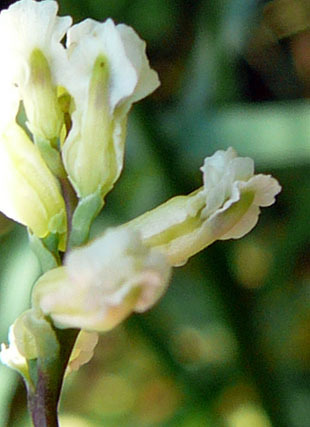 Stems are brittle and angular.